The world’s oceans are filled with an array of venomous and toxic marine critters, not to mention a whole host of apex carnivores.They continue to fascinate us with their magnificent appearance and behaviour, no matter how dangerous or shocking. 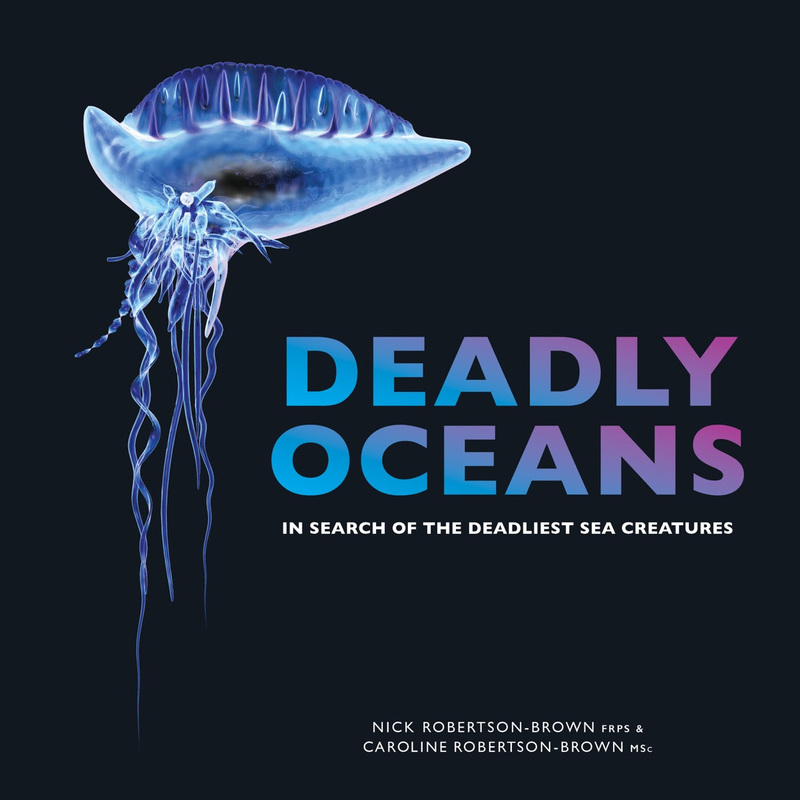 Within the pages of Deadly Oceans you can join ace divers and wildlife photographers Nick and Caroline Robertson-Brown as they tour the world in search of the deadliest sea creatures. 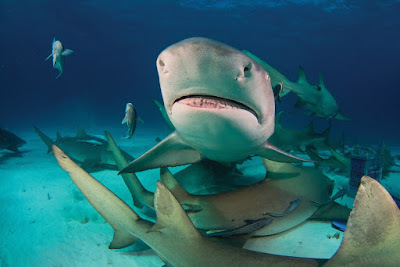 They are not only looking at the marine life that is specifically a danger to humans, but also those predators with amazing adaptations that make them supreme hunters, marveling at predators that conceal themselves, perfectly camouflaged to their surroundings, waiting to strike, sometimes at mind-boggling speeds. Taking a look at creatures from beneath the surface that have developed toxins to prevent them becoming prey, and finally focusing on the organism that poses the greatest threat, not only to all marine life in our seas and oceans, but also to the planet itself. Deadly Oceans is illustrated with hundreds of stunning images, chapters cover everything from jellyfish to sea snakes, and cone shells to crocodiles and, of course, a whole range of sharks while the most deadlyspecies of them all may or may not come as a surprise. Nick and Caroline are both aware winning underwater photographers and have been diving together since 1995. Their scuba adventures have taken them to locations all around the world, but they also still love diving in their native British waters. Caroline has a BSc (Hons) in biology and an MSc in Animal behavior. Nick has a BSc (Hons) in Environmental Biology, a DipEd in teaching and is a Fellow of The Royal Photographic Society. Caroline and Nick are both conversation driven and are involved in several charities that strive to protect our oceans.